Dubai: Boeing Co has met with officials from the UAE to work out how it can help the country in its ambitious space programme, a senior executive said on Saturday. 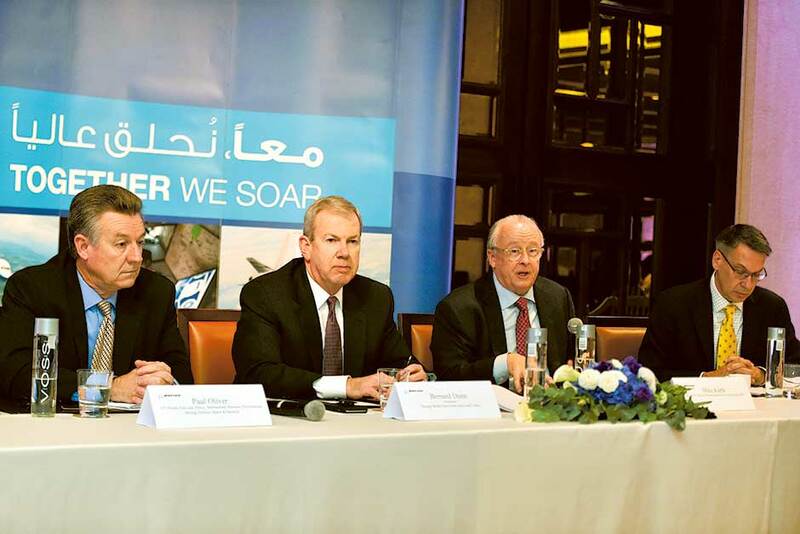 “We have had a couple of dialogues,” Paul Oliver, vice president of International Business Development for the Middle East and Africa at Boeing’s Defence Space & Security business told reporters at a press conference in Dubai. Oliver did not say when Boeing met with UAE officials or who they have met with. On May 26, Airbus’ Francois Auque, executive committee member and head of space systems, told Gulf News he expects UAE companies will be soon building equipment or subsystems for satellites or space vehicles as the country pursues its space strategy. The UAE unveiled an ambitious space exploration strategy this year, including plans of sending an unmanned probe to Mars in 2020. The UAE Space Agency was established last year by presidential decree with the UAE having sent satellites into space previously, its first in 2000 by UAE-based satellite phone operator Thuraya. “There will be a couple of announcements at the show related to increased partnerships,” Boeing’s President for the Middle East, Turkey and North Africa Benard Dunne also said on Saturday sitting alongside Oliver. Boeing has several partnerships with state-owned companies in the Arab Gulf. In the UAE, Strata Manufacturing, owned by Abu Dhabi’s Mubadala Development Company, is contracted to supply Boeing, and other manufacturers, with composite parts for commercial aircraft. Dunne did not provide further details, however, John Byrne, vice-president of Airplane Materials and Structures at Boeing said in September that Boeing and Strata will announce details of the $2.5 billion (Dh9.18 billion) contract signed at the 2013 Dubai Airshow at this week’s show. Under the 2013 contract, Mubadala is to supply composites and machine metals to Boeing’s commercial programmes, including the new generation 777x and 787. The two have been in talks to agree on which composite parts will be manufactured by Strata.